WASHINGTON – The NFL Players Association annually recognizes players who go above and beyond to perform community service in their team cities and hometowns. 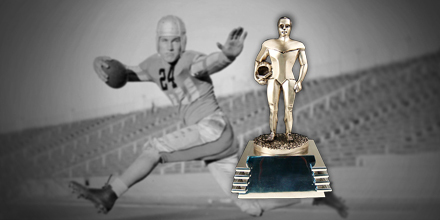 The Byron “Whizzer” White Award is the highest honor the NFLPA can bestow on a player. The award was established by the professional football players of America to acknowledge a debt of gratitude to one of their own, Supreme Court Justice Byron Raymond “Whizzer” White—scholar, athlete, patriot, humanitarian and public servant. The NFLPA presents this prestigious annual award to the player that is just as dedicated off the field as he is on the field.